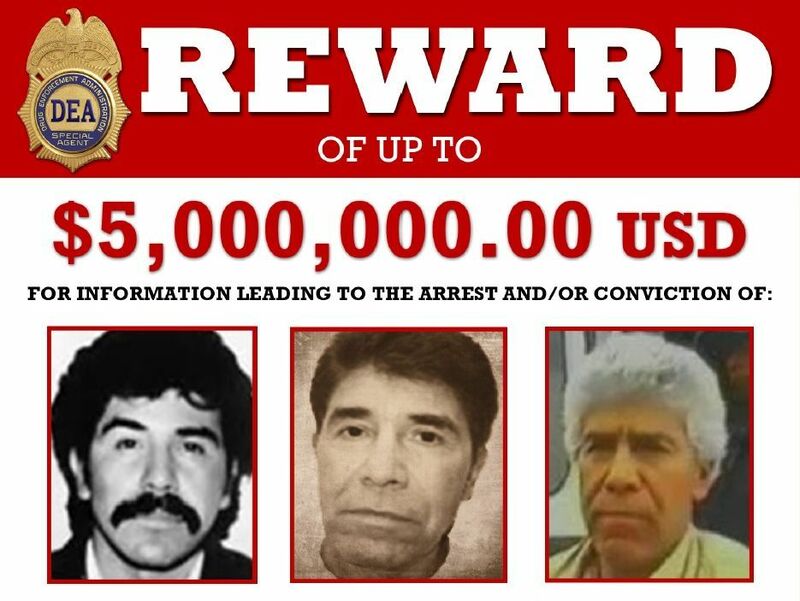 Just weeks before the U.S. State Department offered a five-million-dollar reward for the capture of Guadalajara Cartel founder Rafael Caro Quintero, a former Central Intelligence Agency (CIA) contractor revealed he once flew the fugitive out of Mexico to help him evade arrest. Two former Drug Enforcement Administration (DEA) agents also recently alleged that CIA operatives were complicit not only in smuggling cocaine into the United States, but also in the abduction and torture of DEA agent Enrique “Kiki” Camarena Salazar in 1985. While this may sound like a wild conspiracy theory, the CIA’s alleged collaboration with drug cartels – which ties into the Iran-Contra scandal of the 1980s – was first brought to light by none other than John Kerry, the current U.S. Secretary of State. 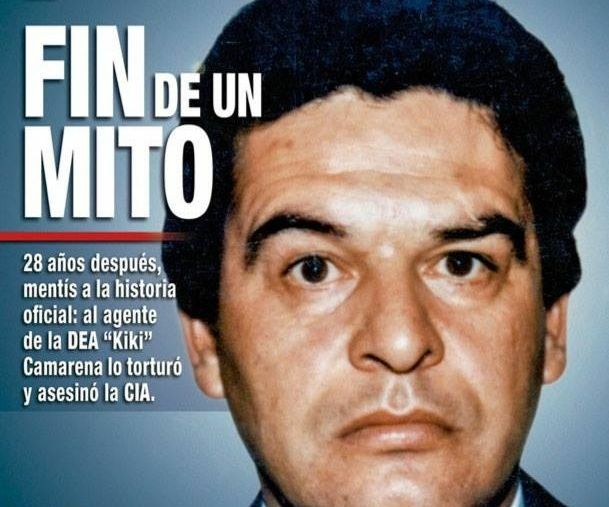 Most damningly, Kerry unearthed proof that in 1986, just a year after Camarena’s death, the U.S. State Department paid over 180,000 dollars to Juan Matta Ballesteros, a close associate of the Guadalajara Cartel who is currently serving multiple life sentences in the United States for his role in kidnapping and murdering the DEA agent. A notorious Honduran drug trafficker, Matta was paid to ship arms to the Contras, the CIA’s proxy army in the war against Nicaragua’s leftist Sandinista government. In October, former DEA agents Phil Jordan and Hector Berrellez conducted interviews with the El Paso Times, Fox News and Proceso, detailing the CIA’s involvement with the Guadalajara Cartel, then the most powerful drug gang in Mexico, and its head honcho Caro Quintero. Robert Tosh Plumlee, a pilot formerly on the CIA payroll, also spoke of his role in the covert operations. Their testimony centers around the murder of Camarena, an undercover DEA agent who infiltrated the Guadalajara Cartel until his cover was blown in February 1985. Abducted in broad daylight after leaving the U.S. Consulate in Guadalajara, Camarena was taken to one of Caro Quintero’s many properties in the city, where he was tortured for over 24 hours. A month later his body was found, along with that of his pilot Alfredo Zavala Avelar, in a shallow grave in the state of Michoacan. Having served 28 years of a 40-year sentence for masterminding the killing, Caro Quintero was quietly released on a legal technicality in the early hours of August 9. The DEA was infuriated by his release and Mexico’s Supreme Court belatedly reversed the decision in November, but the fugitive kingpin had long since disappeared. Camarena is widely believed to have been targeted because his undercover investigation led to the destruction of thousands of tons of marijuana, worth billions of dollars, at Caro Quintero’s enormous El Bufalo ranch in Chihuahua in November 1984. But Jordan and Berrellez believe Camarena was targeted because he had uncovered evidence that the CIA was involved in drug-trafficking. They said they decided to go public in October because they had only just confirmed the allegations that CIA operatives were involved in Camarena’s abduction and interrogation. The kidnapping itself was carried out by members of Mexico’s now-defunct federal security force, the DFS, according to both Jordan, who headed the DEA intelligence center in El Paso, Texas, and Berrellez, who led a five-year investigation into Camarena’s murder. “Back in the middle 1980’s, the DFS, their main role was to protect the drug lords,” Berrellez told Fox News, which said it obtained U.S. intelligence documents with corroborating evidence that the DFS provided Caro Quintero with permanent protection. The DFS was not only working at the behest of the Guadalajara Cartel, but also the CIA. Jorge Carrillo Olea, who was in charge of dismantling the organization because of its alleged complicity in the murder of Camarena, told Proceso in October that “the DFS was totally at the service of the CIA.” The CIA even admitted as much, once citing DFS Director Miguel Nazar Haro as an important agency asset in order to protect him from a federal grand jury indictment in the United States. Jordan and Berrellez believe that Camarena’s abduction was most likely ordered by whoever was directing the CIA’s covert operations in Mexico. Neither was present when Camarena was tortured, but having spoken to informants who were there, they speculate that the interrogation went too far; that the aim was not actually to kill Camarena, but to find out where he was getting his information about the CIA’s secret operations in the region, and to protect the White House from the potential exposure of its continued support for the Contras. During his investigation, Berrellez discovered through Camarena’s call logs that he had been in contact with the late Mexican journalist Manuel Buendia, who had authored a book entitled “The CIA in Mexico” shortly before he was shot dead in Mexico City in May 1984. “Buendia could identify the CIA guys by name” and could have provided Camarena with the information that led to his death, Berrellez told Narco News. But whenever he raised the results of his investigation, his supervisors told him to drop the case. Eventually Berrellez was transferred to Washington D.C. and ordered to stop pursuing any angle that suggested U.S. assets knew of Camarena’s abduction. Present throughout Camarena’s brutal interrogation, which lasted some 30 hours, were Caro Quintero and several other prominent members of the Guadalajara Cartel. One of Caro Quintero’s bodyguards would later testify in a Los Angeles courtroom that the Jalisco governor and two federal cabinet members were also present in the next room so as to hear what Camarena was saying about their own collusion with drug-trafficking. Two CIA operatives were also at the scene, according to Jordan and Berrellez. “In the interrogation room, I was told by Mexican authorities, that CIA operatives were in there. Actually conducting the interrogation. Actually taping Kiki,” Jordan told Fox News. Eventually, the DEA obtained the audio tapes of Camarena’s torture. Berrellez said his sources indicated that there were five tapes, but the CIA only passed three on to the DEA. This statement was supported by Celestino Castillo, another former DEA agent, who told the El Paso Times that he had listened to one of the tapes. “We didn’t get all the tapes, just some of them. The CIA gave them to us,” Castillo said. Berrellez said that DEA informants witnessed the interrogation and identified two Cuban CIA operatives who were present as Camarena was tortured. He also revealed that Guillermo Gonzalez Calderoni, a high-ranking member of Mexico’s federal police force, told him “Your government did it,” but warned him to back away from the investigation because it was too dangerous. Gonzalez was murdered in McAllen, Texas, in 2003, having publicly threatened to expose high-level corruption in the Mexican government. The crime has yet to be solved. The kidnapping and murder of a U.S. intelligence agent was unprecedented at the time. While the Ronald Reagan administration exerted pressure on the Mexican government to find those responsible, the DEA launched Operation Leyenda, its biggest ever homicide investigation. The DEA manhunt proved more productive than the Mexican authorities’ sluggish efforts and shortly after Camarena’s corpse was discovered U.S. agents came close to detaining Caro Quintero at the Guadalajara airport. Upon leaving Guadalajara, Caro Quintero reportedly spent a few days hiding out with his family in northern Mexico, before flying to a ranch he owned near Veracruz. A DEA report from 1990 suggests that Caro Quintero had been allowing the CIA – operating under the cover of the DFS – to use the ranch to train anti-Sandinista guerrillas from Guatemala. “I had flown into the ranch many times with weapons for the Contra southern front,” Plumlee, a CIA contract pilot, told Narco News. He also claimed that he had transported over 40 tons of cocaine into the United States. “The United States government played both ends against the middle. We were running guns. We were running drugs. We were using the drug money to finance the gun running operation,” he explained to Fox News. In March 1985, Plumlee was ordered to fly Caro Quintero from his ranch to a private airstrip in Guatemala’s Quiche region. “I got Caro Quintero out of Mexico under the direct orders of the CIA,” Plumlee told Proceso. He said that his contact was a CIA agent who identified himself as Robert Bennett, while another CIA operative accompanied Caro Quintero on the flight. Plumlee, Berrellez and Jordan all said they were certain that another CIA contract pilot then flew Caro Quintero from Guatemala to Costa Rica, where he was arrested a month later and extradited back to Mexico. Plumlee said that pilot now lives in New Mexico and “regrets” that flight. Plumlee added that he had frequently flown C-130 aircraft between Caro Quintero’s ranch and various Central American airports in the early 1980s. He said he was hired by the SETCO company, which was owned by Matta, a powerful Honduran drug trafficker who served as the link between the Guadalajara Cartel and Colombia’s Medellin Cartel. Two years later, Newsweek cited official estimates that Matta, who had amassed a personal fortune of up to two billion dollars, was responsible for supplying “perhaps one third of all cocaine consumed in the United States.” Matta was eventually arrested in Honduras in 1988 and extradited to the United States, where he is currently serving 12 life sentences for his role in the abduction and murder of Camarena, and for trafficking cocaine into California. Further evidence suggesting that the CIA had been working with the Guadalajara Cartel came from Peter Dale Scott in his 1991 book “Cocaine Politics: Drugs, Armies, and the CIA in Central America.” According to Scott, Miguel Angel Felix Gallardo, a co-founder and leading member of the cartel, boasted of smuggling arms to the Contras in Nicaragua, while his pilot Werner Lotz told the DEA that he once delivered 15,000 dollars in cash to the Contras on Felix’s orders. Felix is also currently serving a 40-year sentence in Mexico for his part in the kidnapping and murder of Camarena, among other charges. The CIA’s alleged collaboration with the Guadalajara Cartel appears to stem from its efforts to prevent communism from taking hold in Latin America throughout the Cold War era. Fearful that Nicaragua would turn communist under the left-wing Sandinista regime, President Reagan ordered the CIA to support the Contras upon taking up office in January 1981. The White House provided the Contras with money, arms, equipment and training, while the CIA directly intervened in the conflict by blowing up bridges and mining Nicaragua’s harbors. But little progress was made and in late 1982 the U.S. Congress passed a bill prohibiting the CIA from spending any more money “for the purpose of overthrowing the government of Nicaragua.” Yet the CIA continued to secretly and illegally fund the Contras, largely through the sale of arms to Iran, which eventually came to light in the Iran-Contra scandal. Spurred by an Associated Press article linking the Contras to drug-trafficking, Kerry, then Senator of Massachusetts, began investigating the affair in October 1986. Eventually published in April 1989, the 400-page Kerry Committee Report found that the U.S. State Department had paid at least 806,000 dollars to known drug traffickers – some of whom had been indicted by federal law enforcement agencies – using funds that Congress had authorized for humanitarian assistance to the Contras. Kerry’s investigation led to the conviction of Lieutenant Colonel Oliver North for illegally funding and arming the Contras during the Iran-Contra affair, although the convictions were later overturned on a technicality, and President George H. W. Bush later pardoned several others who had been convicted for their involvement in the scandal. Kerry found that the Contras received money, weapons and equipment from drug traffickers, whom they helped to smuggle cocaine into the United States. Damningly, Kerry also discovered that U.S. government agencies knew of this yet turned a blind eye so as not to undermine Reagan’s foreign policy objectives in Nicaragua. Kerry’s investigation was further vindicated in 1996 by investigative reporter Gary Webb of the San Jose Mercury News, who was responsible for the first in-depth media study of the CIA’s alleged ties with drug traffickers. In his “Dark Alliance” series, which he later adapted into a book and is now set to become a movie, Webb unearthed more evidence that the CIA had been trafficking crack cocaine into Los Angeles in order to fund the Contras. “There is no question in my mind that people affiliated with, or on the payroll of, the CIA were involved in drug trafficking,” Kerry said in response to Webb’s reporting. But Webb’s allegations were denied by the CIA and his reporting was widely attacked by the mainstream media in the United States. Webb died from two gunshot wounds to the head, an apparent suicide, in 2004.